Found one file extension association related to Liberty Digital Court Recorder and 1 file format developed specifically for use with Liberty Digital Court Recorder. 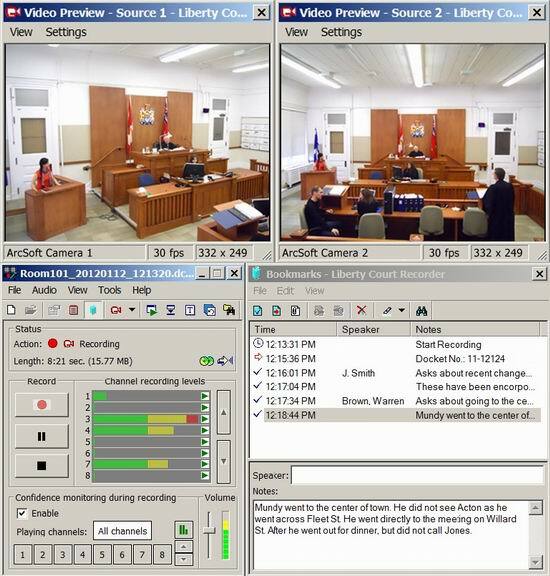 Liberty Digital Court Recorder is an audio/video recording program designed to run on a standard PC using the Windows operating system. The Liberty solution can record and playback multiple channels of audio and video. The system also includes bookmark and text notes features that allow tab stops for instant cueing and text to be imbedded directly into the resulting recording files. If you need more information please contact the developers of Liberty Digital Court Recorder (High Criteria), or check out their product website.